Over the years Beach J’ouvert has become the soca lovers dream fete. 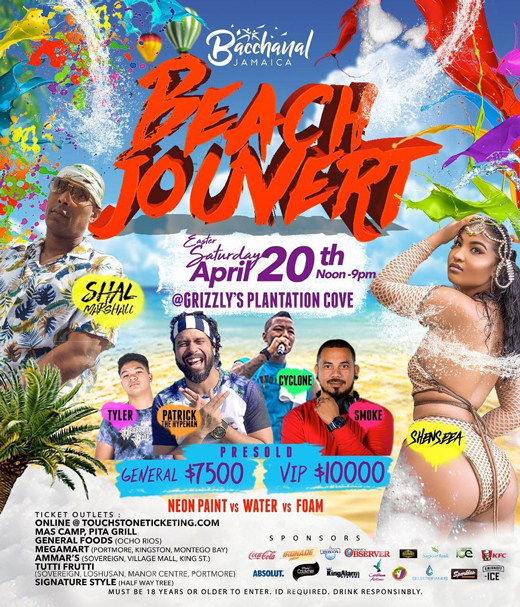 Usually held on the Saturday before Easter Sunday, this one of a kind event brings j'ouvert to the seashore. 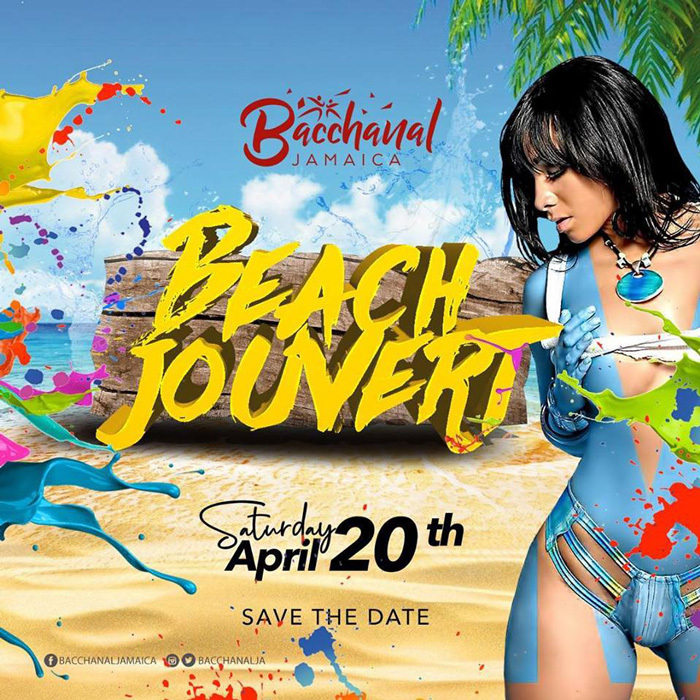 Always featuring live entertainment, Beach J’ouvert has housed some of the biggest and brightest stars on the soca scene including; Machel Montano; Destra Garcia and the Atlantik Band; Shurwayne Winchester and Traffik; Imij and Company; Maximus Dan; Kes the Band; DJ Switch and KMC to name a few. Ticket prices inclusive of drinks. Ocho Rios, IT Jamaica W.I.